Life Athletes, hello and welcome to episode 98 of the Life Athletics podcast. 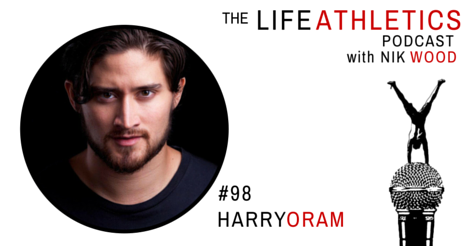 Today’s guest is Harry Oram. Harry Oram is the founder of Third Culture. Third Culture is a community of people who, for whatever reason, do not subscribe to classic definitions of cultural identity. He's also an actor, and he's combining these two tracks with the first-ever Third Culture film festival this year in Hong Kon. We talk about this and much more in this sweeping conversation. Enjoy!